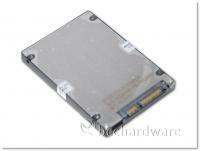 Solid-State Drives are starting to appeal to more mainstream users as capacities increase and prices continue to fall. That being said, NAND flash memory is a very volatile market and prices have been known to rise and fall without warning. When we reviewed the Crucial M225 128GB SSD a few months ago, the price was down to a respectable $329 for a 128GB drive - today the price is pushing $399 - so it's not always that prices fall. Overall, prices are indeed dropping and while it may be a while before SSDs replace traditional hard drives for mainstream consumers, those looking for great performance and durability should consider picking up a Solid State Drive of some sort. 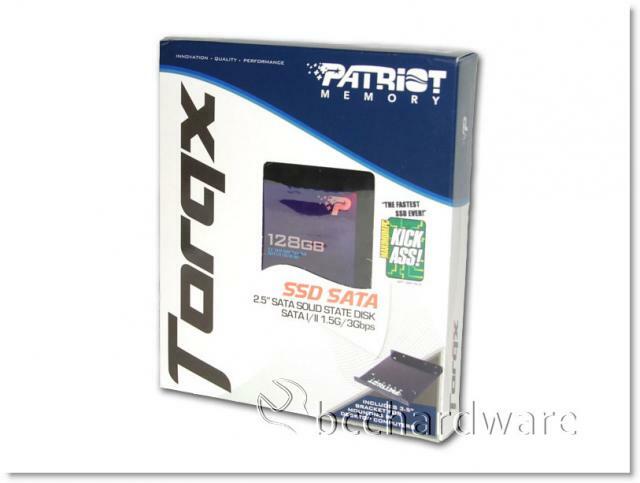 Today we are looking at the 128GB version of the Patriot Memory Torqx line of MLC drives. This drive promises up to 260MB/sec read and 135MB/sec write speeds over a SATA 3Gb/s connection. These drives are getting faster and cheaper as the new SATA 6.0Gb/sec drives have launched recently. Until they become mainstream, we'll see what the Patriot Memory Torqx can do. After meeting with Patriot Memory at CES, our lovely host Mary asked us if we'd be interested in taking a look at the Torqx as well as other upcoming products. Naturally, we were delighted and a couple of weeks later, the Torqx showed up on the doorstep. We look forward to seeing where Patriot Memory is going with their SSDs. When you order a hard drive there usually isn't much of a "bundle". The same is true of SSDs typically but Patriot has sweetened the deal by including a 2.5" to 3.5" adapter that allows you to mount the drive in many standard systems that don't include support or mounting hardware for 2.5" devices. This is a nice little touch that adds a few dollars of extra value to the drive. Unfortunately, the included adapter isn't compatible with the standard 3.5" HDD format and won't allow you to use the drive in traditional hot-swap racks. SSDs aren't typically that exciting to look at and explore like a new motherboard. They are generally pretty bland and Patriot Memory has tried to spice things up with a nice finish and an iridescent decal. In the end, the appearance is nothing to get too excited about - it's what's inside that counts. On the next page well take a look at the features and specs, then pull the drive apart and take a peak inside.